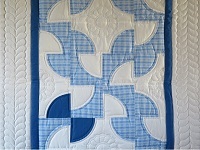 Wonderful design! A lovely addition to any nursery. 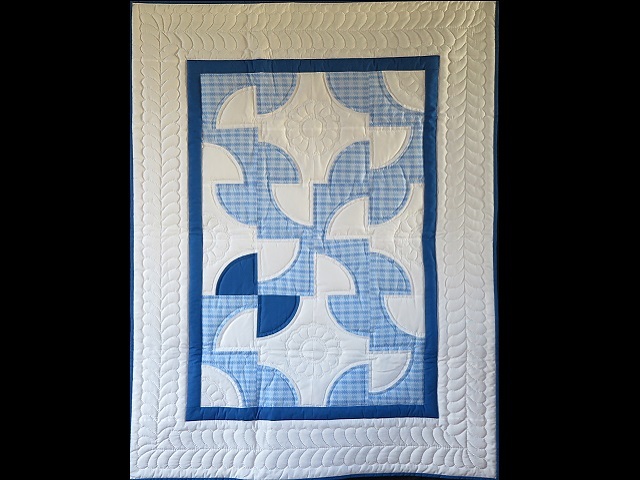 Beautiful and classic color combination of blue and white. 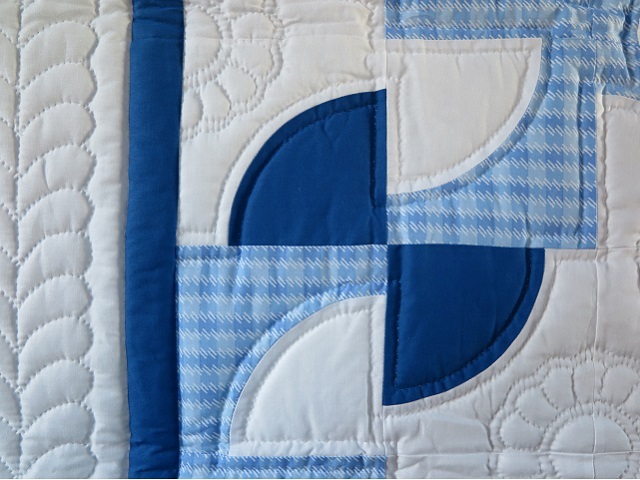 Precise piecework and amazing quilting. Exceptionally well made in northeast Indiana by an Amish woman. Includes a sleeve for a hanging rod. 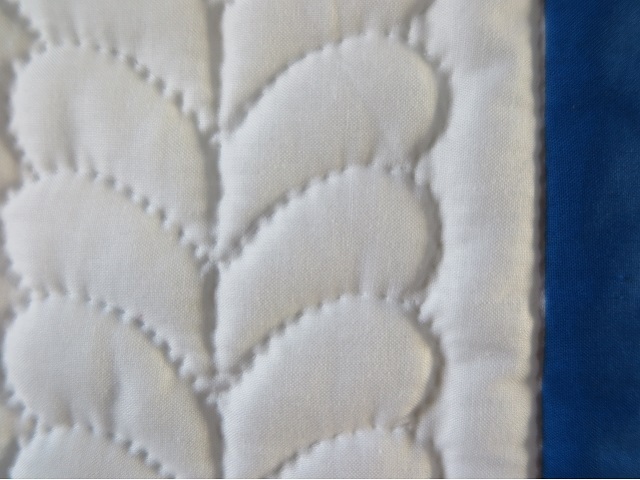 The back of the quilt is covered with the same white fabric as used on the front.